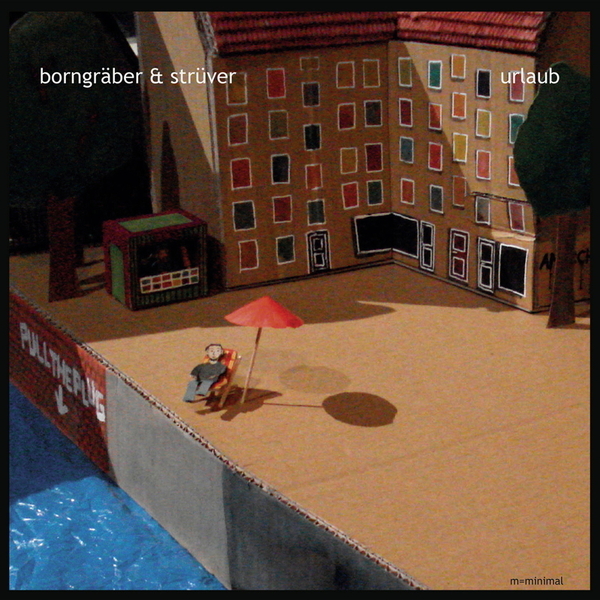 **Contemporary Krautrock double feature pairing Christian Borngräber & Jens Strüver's 2010 & 2011 albums** Having recently dropped that essential reissue of Conrad Schnitzler's Ballet Statique, M=minimal serve up a fresh set from modern day kraut standard-bearers Borngraber & Struver. "Kosmische" these days tends to be shorthand for fluffy synth ambience, but B&S invoke the more rhythmic, pulsation-prone practitioners of 70s German electronic music, and more power to 'em for it. 'Reise' is a hugely satisying 21st century update of Schnitzler et al's sleek machine minimalism, sweeping Blade Runner synths and dubbed-out piano chords underscored by a robust techno kick - building to a truly intense denoument ,you could see this jam going down a treat on the dancefloors of the world's deeper, darker club spots. 'Berlin Tribal Music' sounds like Neubauten and Swans soundtracking a Michael Mann chase scene, while 'Dancing Queen' is thumping, mid-paced disco-prog with an unbelievable thump, up-down arpeggios and swampy strings - wonderfully over-the-top, like Goblin if they'd made it in Hollywood. 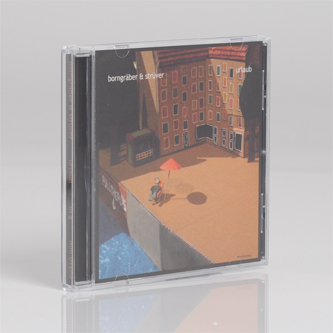 And with so many artists who share B&S's interests favouring a lo-fi idiom, it's refreshing to hear music so unashamedly crisp, full-bodied and frankly state-of-the-art in its production values. With 'In G' they've reduced the linear essence of records from Neu and Conrad Schnitzler into a modern day equivalent, concentrating on subtle, hypnotic tonal shifts and slowly evolving patterns over thumping systolic kicks in 'Part I', and entering more esoteric, beatless territory in 'Part II' with arcing guitars and hard-filtered strings, gradually introducing leaden kicks on the halfbeat. What sets this apart from so much of the modern day "Polaroid" kosmiche is the attention to production values, giving this release a superior, heavyweight sound design aesthetic to be apprciated by lovers of hi-end electronics. Recommended.